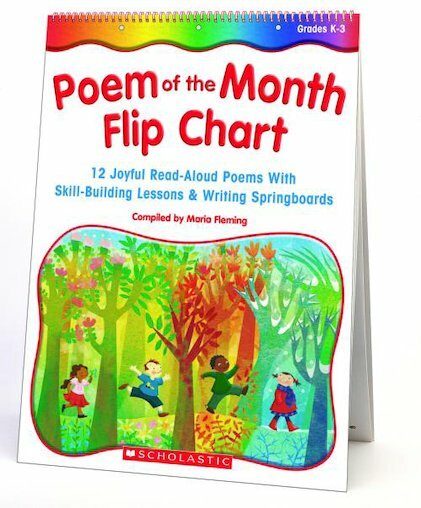 Develop a love of language with this BIG, laminated flip chart featuring 12 adorable poems—one for each month! Display this sturdy, colorful resource all year long to explore rhyme and rhythm, vocabulary, phonics, spelling, and more. Companion teaching pages are packed with instant language arts boosters and kid-perfect writing prompts. For use with Grades K-3.